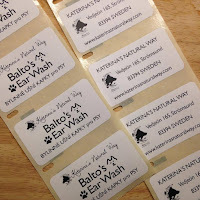 Katerina's Journal: Labels, Labels, Labels! If you think I have lost my mind (or have nothing better to do with my time) to be writing a blog post about labels, you are not far from the truth, because I nearly did loose my mind over those LABELS. As a matter of fact, I, at one point, could not stand to even hear the word LABELS. 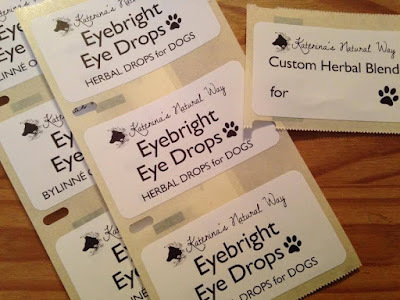 When I first began the baby steps of realizing my dream to support my life by sharing my herbal remedies that I make for my own dogs with you, to actually make them live as an offering that could help your animals as well, I had this clear vision - I would have the most beautiful, recycled and/or ecological packages and labels, with my handwriting and drawings and all sorts of cool ideas. From the beginning, I wanted my preparations and remedies to have the authentic image also on the outside. And that is where the struggle began. 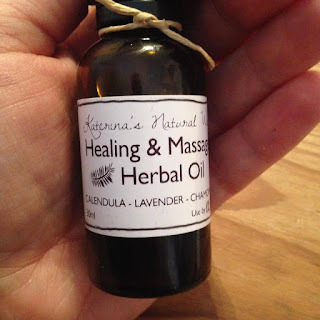 From wildcrafting herbs throughout the year, creating, testing, developing, improving different formulas, infusing oils, tincturing, drying, brewing and everything else in between, that took place during the past two years or so, I have come a long ways, yet am still dreading the days have only 24 hours. And then there is money. Or, in my case, I should say, the lack of money. Following a dream, a passion, a calling is one thing, and a great one, I must add. But actually building a business, no matter how small, with a zero financial backup is plain hard. It is plain frustrating and it slows your process down. There are no savings, no loans or small business support I could use to spread my herbal business wings. And that is where the LABELS topic comes in. I started with hand written labels on not so ecological, not always recycled materials, hoping it would be as temporary and short term as possible. After all, labels could be finalized after I had a logo. Then I was connected with a "graphic designer" who promised to work with my philosophy, who took a deposit I barely could afford, and presented the most unprofessional logo, and attitude. So a huge setback. A lot of time lost, when we were supposed to have labels in three languages by the end of June. Later on, a young and talented designer presented me a logo that I totally fell in love with (see one of my previous posts), that I feel refelcts my philosophy, another words that is "me". I am very grateful for her effort, and for really feeling what my work is about. We were supposed to work together on labels, because she gained my full trust, but due to health and personal reasons, she was unable to help further. 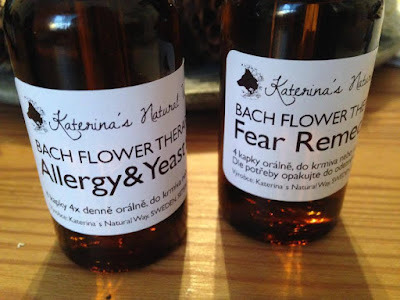 After a lot of struggling, restless nights and the clock ticking, the year coming to an end, I needed badly to have professionally looking lables to give a face to my preparations, now being sold also in Czech Republic and a few pet shops and holistic oriented businesses interested in carrying some of my remedies and preparations. And that is when the good news come in. One late November evening, Jachym was working on the computer and I heard him shout with excitement about a great label printer, being sold on Tradera (Swedish website similar to Ebay). Within a few minutes, while we got excited about the "WHAT IF this would solve our LABELS problem at least for a while", the bidding for the printer was closed and it sold just in front of our eyes. But the idea for solving this LABEL problem in the near future, kept brewing in my head so I asked Jachym to go crazy and search every hidden corner of the internet for a printer that would be in good shape, delivered asap and would cost very little. We would come up with the money "somehow". Not an easy task to accomplish, believe me. But Universe was kind and only few hours later we actually ordered a label printer! Brand new from the producer. On sale. 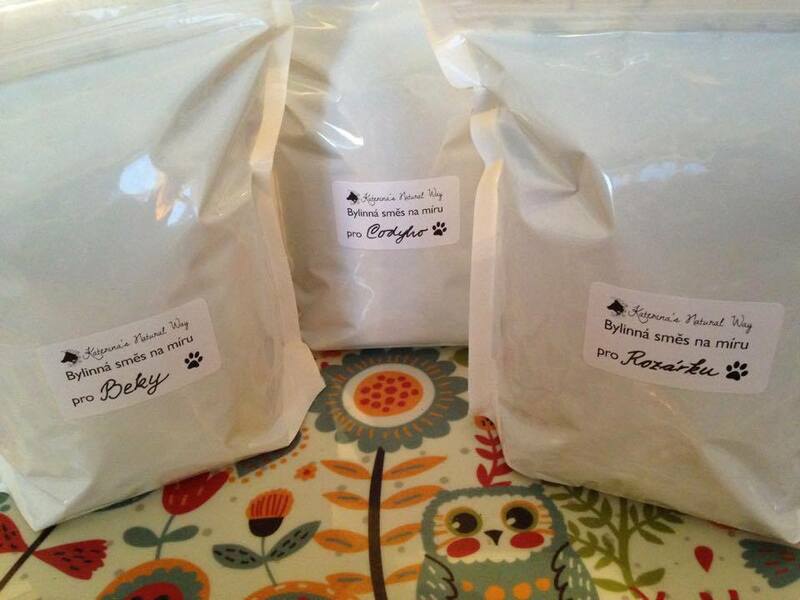 With labels included. For 5 dollars (50SEK) a month. I am not joking. I have to express my gratitude for the Swedish payment credit system called Klarna, because, while it can lure you into buying more stuff and ending up paying a lot every month for several years, being a slave to the system, it is a great option for people in our situation, when we need to buy something very important and simply have no other financial options. If used carefully, this is a good option indeed. Ok, back to the LABELS. 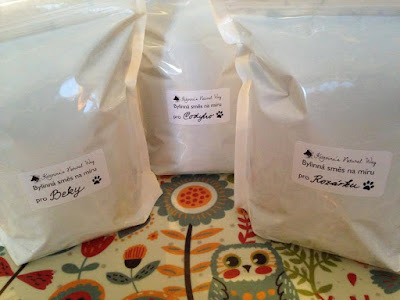 While this quick, good quality, economic home labeling is great (and saves SO MUCH TIME! ), it isn´t perfect of course. The graphic options for the labels are somewhat limited. 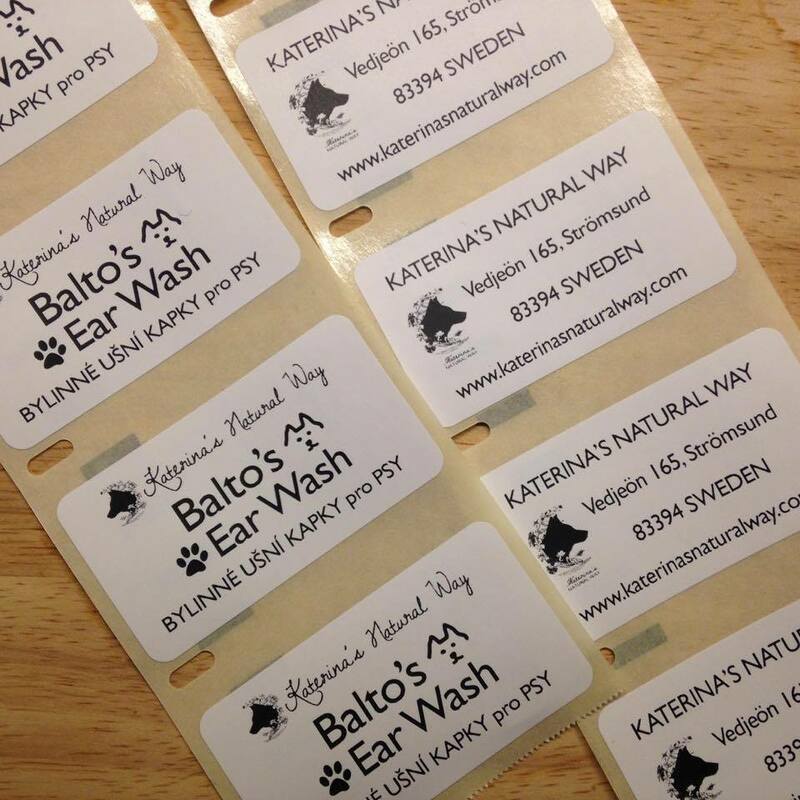 But it is already December and one of my business goals for 2016 was to get labels for my products - in English, Czech and Swedish. It is a VERY time consuming project and often the priorities were simply somewhere else, throughout the entire year. Just think of design and text translation. Multiply by the number of products. 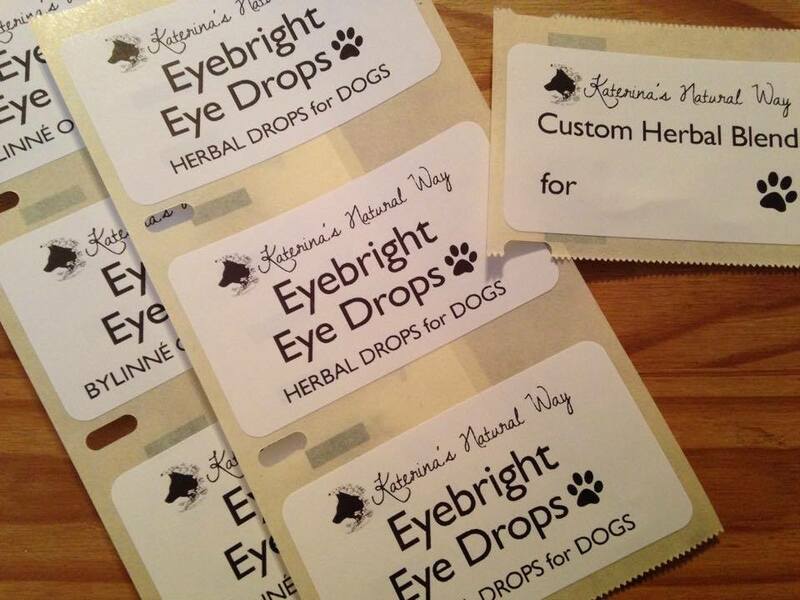 Doing that by hand and adding printed product description and dosage instructions, while trying to keep the packaging professional and at the same time authentic and home-made. Oh yeah, and cutting labels by scissors.....Labeling nightmare at its worst. THE LABELS ARE finally DONE. They are not exactly what I had in mind last winter, when the largest brainstorming for the business took place. And for the moment, they are not on ecological, recycled material either. But I promise to change that the moment it will be possible. It is my huge commitment that I intend to fulfill completely, because it represents what I stand for and how I can have as little bad impact on Mother Nature and the environment as possible, for as long as I shell live. I am not a graphic designer either. I have done the best I could for now, to have the labels the hand-written/modern clean font image, with my hand drawings here and there. There is so much space for improvement. But I hope they will serve you well, providing the message that the remedies they describe, are full of body and soul healing clean herbal medicine created with love, good intention, gratitude to our Mother Earth, in small batches, individually blessed and charged with Universal Energy. While I was angry and frustrated for things not going as well and fast as I have hoped, I forgot to see the blessings. It forced me to stop and think about the year that has just almost fully passed, how much I have managed to accomplish with so little to work with, time, money, resources, energy and other possibilities -wise. It made me realize that perfectionism is not always productive. I have built this literally from scratch, from the ground. And while there is so much more yet to be done and to grow, the ground work is nearly complete. Let the LABELS be checked off of that long list! Thank you to my friends and different folks I met this year, either volunteering at our homestead or visiting while passing by, for your encouragements, suggestions, praise, and help. So, what do you think, how do you like them? I would love to hear your thoughts.